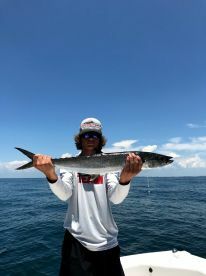 This is my second inshore trip and both ended up a bust. We could hear other captains talking about it being bad for them that morning too. I’ll give the captain props for trying hard to find fish and was helpful to my kids. We fished two bays. We did catch some small specs, but the two keepers we brought home were really hooked by him. I’ll stick to surf fishing and offshore from now on. Had a great time with Capt. Wilkin. 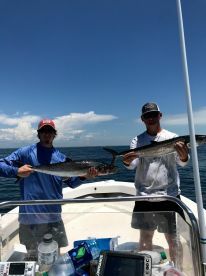 Caught a good mess of King and Spanish Mackerel. Enjoyed trip with captain Wilkin. 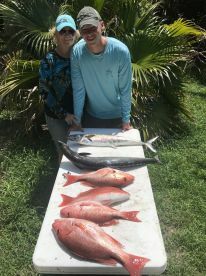 Learn a lot about the area & fishing for the different type of fish.